This resource for secondary physical science gives step-by-step instructions for building a water-powered electric generator from plastic spoons. The model closely resembles real micro-hydro designs, and can produce enough electricity to light a small light bulb. The 9-page construction plans may be freely downloaded and are organized for first-time builders. Comprehensive background information is provided on water power and renewable energy. All materials can be readily purchased from grocery or hardware store. Links are also provided to animated tours of hydroelectric plants and giant turbines. 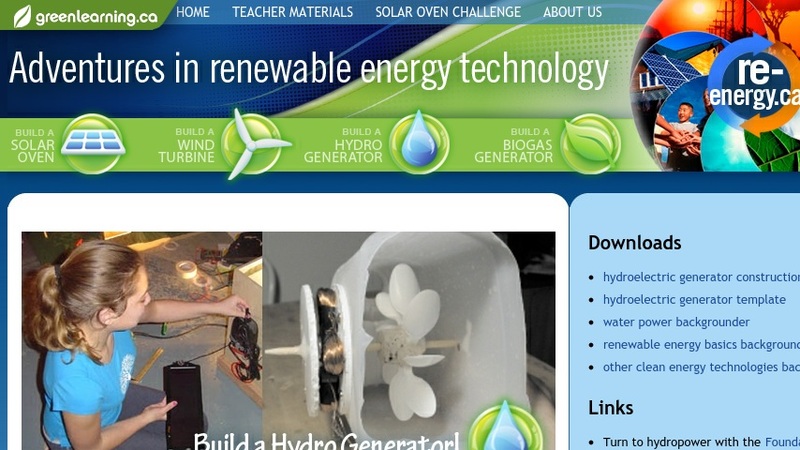 This item is part of a collection of K-12 projects on renewable energy sources and clean energy technology. Registered teacher-users have access to a complete lesson plan with teaching tips. Editor's Note: Although this resource is designated for use in Grades 6-12, the reading level for the student guide is Grade 9, and for background information is Grade 10. Overall, the concepts are appropriate for the cognitive level of Grades 7-8, but teacher scaffolding may be needed for unfamiliar vocabulary. High school students should be expected to complete the activity with minimal scaffolding.